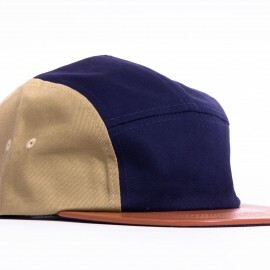 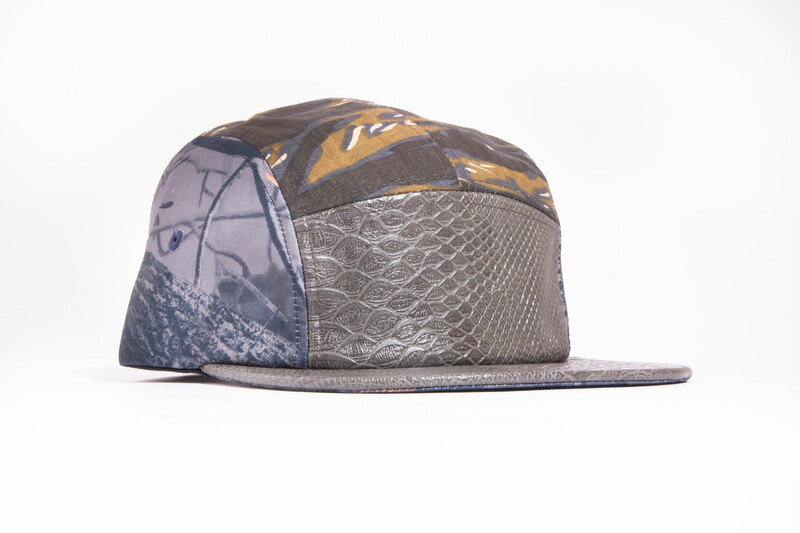 Crown: front panel = Dark grey snake leather. 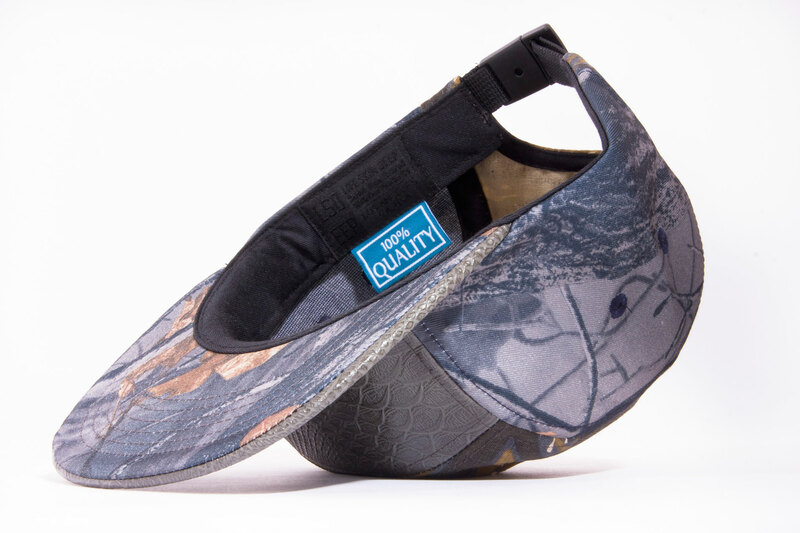 Crown: Top 2 panels, cotton CAMO pattern. 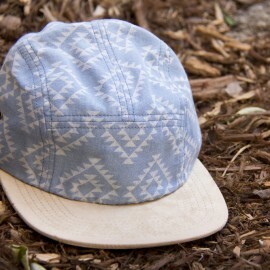 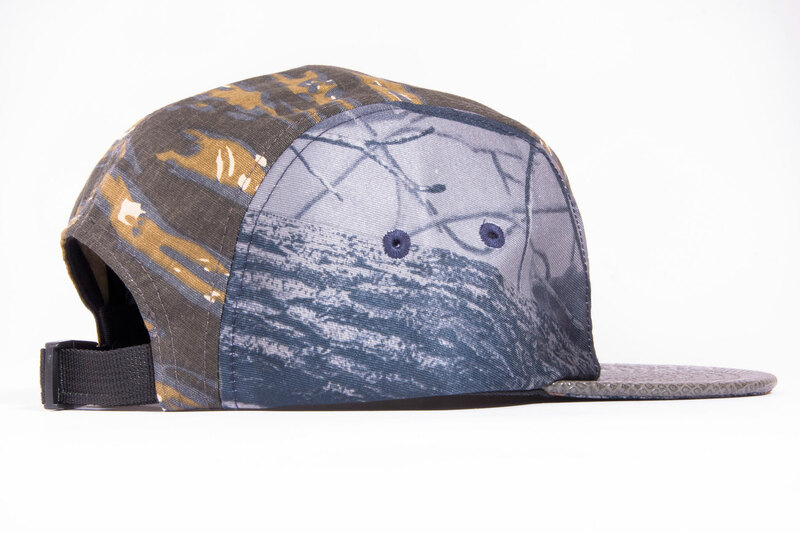 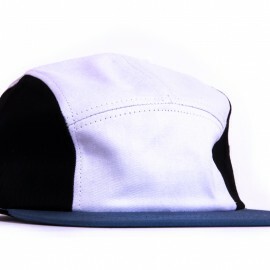 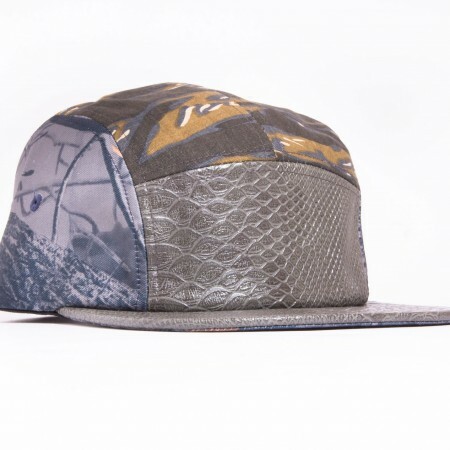 Crown: Side two panels, cotton tree CAMO pattern. 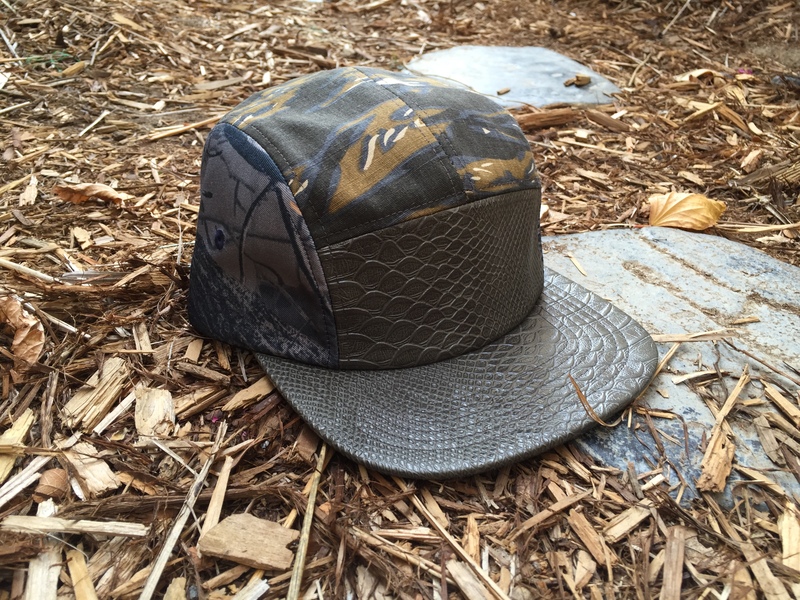 Brim Bottom: Cotton tree CAMO pattern. 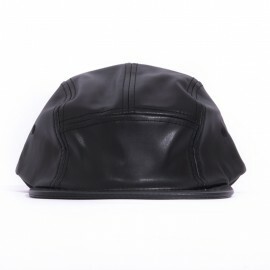 Black Enclosure: Black nylon webbing, black plastic snap buckle.